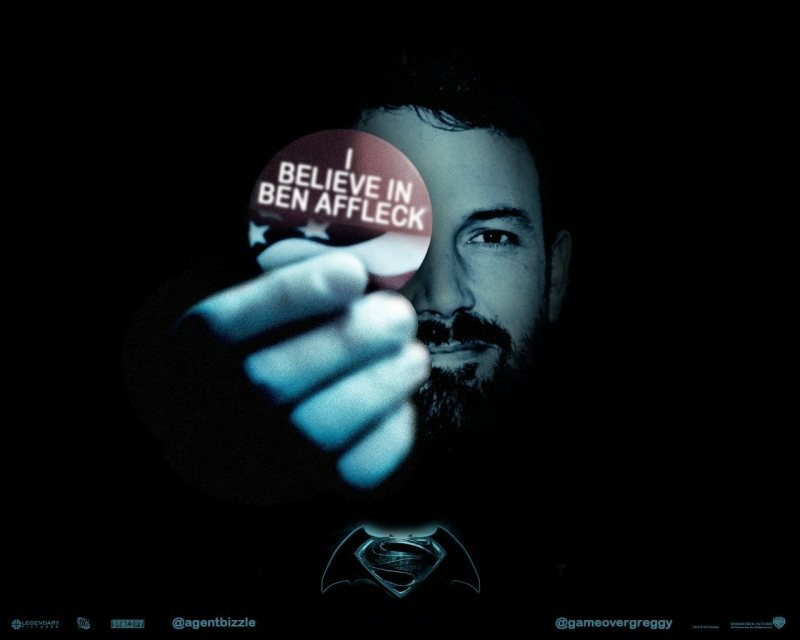 Speakin' Geek: The Affleck Affair. So it has been a couple weeks now since the news hit. Ben Affleck is, Batman. 'The Dark Knight', 'The Caped Crusader' and the one thing Christian Bales Batman was not, 'The World's Greatest Detective'. I have read every little piece concerning this casting. I have been here since the beginning, when we were all given the news that Batman was going to be in the 'Man of Steel' sequel. 'Man of Steel' sequel announcement. The internet was buzzing with the news, Batman and Superman finally together on the big screen. How would they do it? With no Kryptonite, how could Batman even handle Superman? You would need to cast an actor who could make you believe that he could take down the Last Son of Krypton. Many actors, of varying ages, raised their hands up in response. 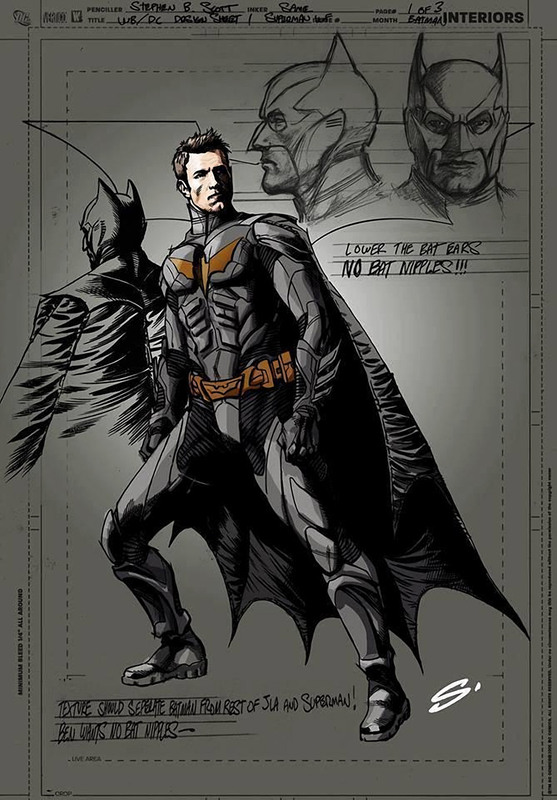 There were many opinions over who was the best bat, was he to be a young counterpart to the rookie Superman or a veteran vigilante who see's the imminent threat that an unchallenged alien poses to the world. Orlando Bloom was almost Batman. Various actors who could have been Batman. My personal favourite was Luke Evans. Having seen him alongside Henry Cavill in 'Immortals' I could already imagine him as Batman. He had the brooding down, since it seems that his only look is brooding, and like Henry he isn't a huge star so he could grow into the role. It was never meant to be however and that brings me to our Batman, the Dark Knight that will battle the Man of Steel, Affleck, Ben Affleck. It's unconfirmed concept art, but I kind of like it. Ah Ben you've had quite a run haven't you? There have been dizzying highs, 'Argo', 'The Town' and 'Good Will Hunting' to name a few. Unfortunately there were also ridiculous lows, 'Changing Lanes', 'Daredevil' and worst of all, J-Lo. Could such a yo-yo career give him the cred to take on such a monumental role, a role, which in my opinion could make or break his career and with it an all time high right now, is it a risk worth taking? No one can deny that Ben Affleck is a fantastic actor, all you have to do is see one of the films I listed, 'The Town and 'Argo' and you will see one of the greats in action, but is he Batman? In my honest opinion, I don't know, he will be a great Bruce Wayne and lately I've been thinking Bruce is the harder character to pull off, a person who has such inner demons and yet hides it behind a perfect veneer of nonchalance is no easy task for an actor especially when you must counter it with such a passionately driven creature as The Batman . Christian Bale was a good Batman, he had the rage and passion down, but he was not a good Bruce Wayne. All we saw was the dark side, Bruce is used as a mask, a way for him to ensure that no one ever thinks he's Batman. In the Nolan trilogy we saw Bruce, but he wasn't fully fleshed out, he was just there, in my eyes, as nothing more than filler. I want a great contrast between Bruce and Batman, in an ideal world no one know would ever guess his identity, even Superman. In the end I don't want to ramble so I'll finish with this, Ben Affleck is going to be an amazing Batman, all you have to remember is this, How did you feel about Daniel Craig when he was first cast as Bond? PS. If you are a frequent visitor to my site than you know I met Henry Cavill a few months back, what you may not know is I met Ben Affleck back at the Irish Premiere of 'The Town'. What have we learned from this? I know Superman and Batman.